beautiful sweet smelling flowers like orchids, but don't tolerate temperatures below 7Â°C. have a delicious blossom next June. Cultivate them in a mix of soil and sand. mature plants. Plants reared from seeds often do not look much like the parent plant. edge it needs strong but not direct sunlight. where they live in 15-45 cm deep water. 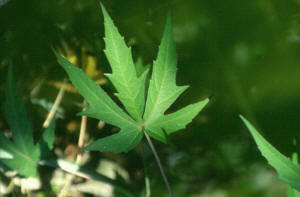 I. kaempferi comes from China and Japan, is a strong plant and during the winter can live in dry soil. 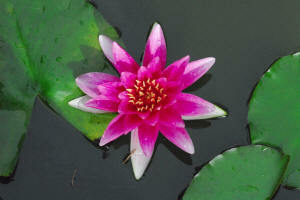 have new nice plants spreading into your pond without any extra effort! deep. 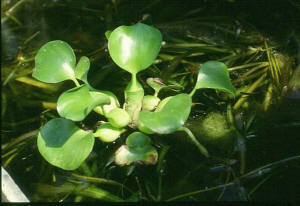 It can reach 50 cm in height and is a good plant for covering the banks of the pond. and they continued producing flowers and new leaves without any trouble! 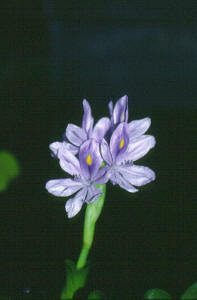 Pontederia cordata (Pontederiaceae) is spread in the temperate zones of North America. freshwater turtles: mine have eaten a 60 cm tall Pontederia in just one day! 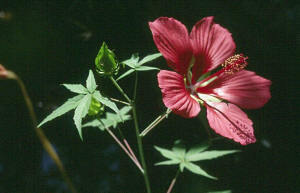 the male flowers don't ripen at the same time with female ones to avoid self-pollination. eatable in Asia) in which the plant stores reserves of nourishing matter for the cold winter. mother plant any new daughter plants that form. ground to release nourishing substances to the floating roots. Remember: goldfishes and freshwater turtles love small floating plants as meal. shallow water with the roots in the ground. Rarely she produces seeds but new plants grow during the summer when temperature reaches 25Â°C. If you haven't success with Eichornia the main problem is the poorness of the water. needed. In the summer Pistia will produce new plants. from the water as an ear, hence the name auriculata. 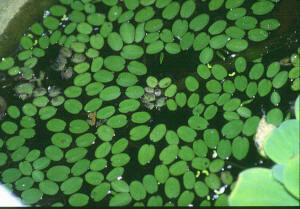 Salvinia reproduces by spores. And now you have only to try and enjoy your pond!